Television was introduced in 1958 in Iran when Television Iran (TVI) was launched in the city of Tehran as a commercially operated and privately owned monopoly with permission granted on concession of 5 years. A southern branch of TVI was established in Abadan in the year 1960. The programming for this channel features American programs dubbed into Persian as well as quiz shows and focused to an un-sophisticated audience. A separate NITV (National Television Network) was launched in 1966, serving for a more educated audience. TVI was nationalized in the year 1969, becoming a monopoly of Government that employed approximately 9,000 people by the year 1979. NITV was merged with Radio Iran later in 1972, forming the NIRT (National Iran Radio and Television). The Asian Games in 1974 were broadcasted in color but the complete color programming started in 1978. After the Islamic Revolution in 1979, the NIRT sustained to exist but was renamed as "Seda va Sima-ye Jomhouri-e Eslami-ye Iran" (Voice and Vision of the Islamic Republic of Iran) and as the IRIB (Islamic Republic of Iran Broadcasting) in English language. The research centre of IRIB estimates that they are utilized by 70% of Iranian households although the satellite dishes are banned under a law in 1994. The BBC Persian channel had been enjoying a weekly audience of approximately 7.2 million in 2011 despite being jammed repeatedly. 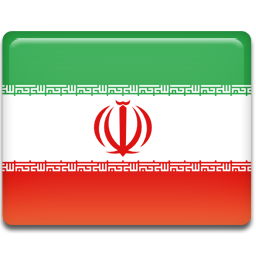 The GEM TV is one the most popular and notable satellite channels in Iran. It is based in Dubai and is broadcasted illegally into the country. The free live TV streaming is also showing up in the country.